On 31 October, zij-kant together with PES Women is calling for a second action day to close the gender pay gap: the European Unequal Pay Day, a symbolic day to raise awareness on the fact that female workers in Europe still earn 16% less than their male colleagues and which depicts that from this day on women effectively are working for free until the end of the year. 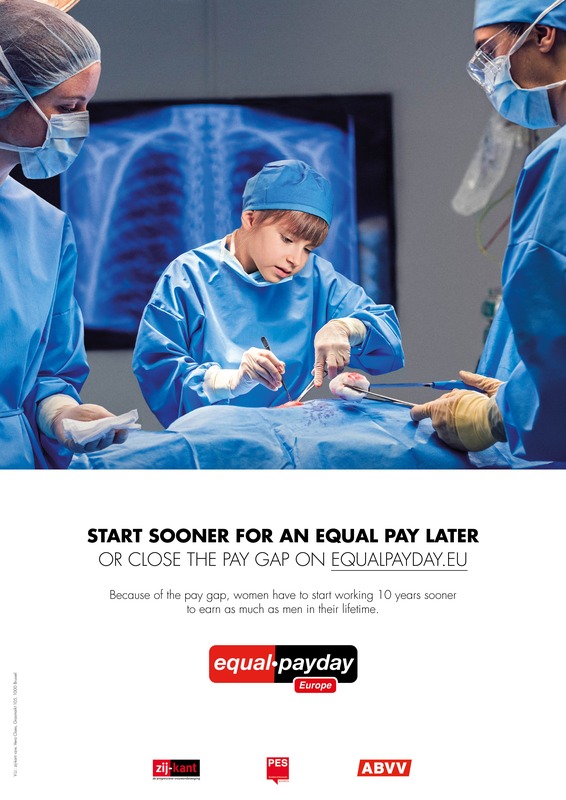 For the European action day, PES Women launched a social media campaign in the run-up to the European Unequal Pay Day. Under the slogan ‘Open your mind_Close the gap’ the campaign provides colourful visuals with facts and figures on the gender pay gap as well as on underlying causes that lead to unequal salaries. To make a common statement on the action day itself, anyone who e-mails to PES Women, zij-kant or to one of the European sister organizations will receive an automatic ‘out of office’ reply containing the message that she will be absent for the rest of the year, just like all her other female colleagues. Urgent requests can be forwarded to male colleagues, because they are still being paid. Join our campaign and close the gender pay gap. 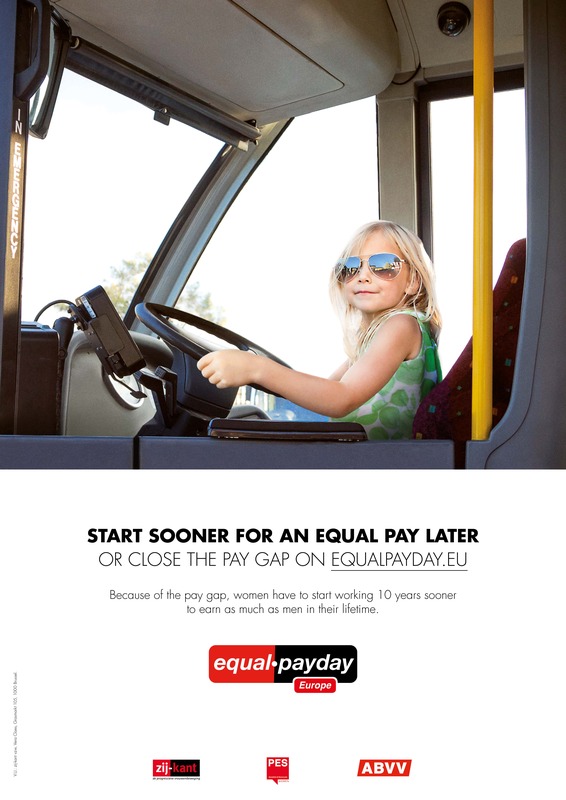 On 22 February 2017, PES Women together with zij-kant Belgium and ABVV launched a European Equal Pay Day campaign. On the initiative of zij-kant, the progressive women’s movement and co-organiser of the Belgian Equal Pay Day, creative agency mortierbrigade has created a playful short film to depict an unorthodox way to close the gender pay gap – asking girls to start their working careers ten years earlier than men, so they can earn the same as men in their lifetime. The film title is ‘Start sooner for an equal pay later’. 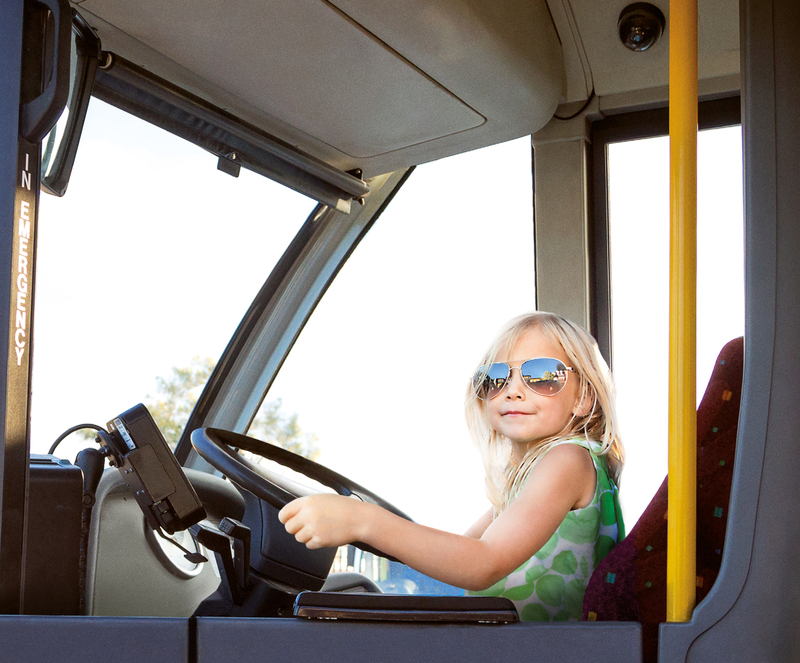 In Europe, women earn 16% less than men (on average gross hourly income of full and part-time workers, Eurostat, 2014). 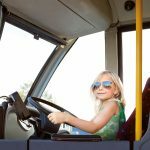 This means that, in order to earn the same over her lifetime, a woman would have to work ten years longer than a man in an equivalent role – or start working ten years earlier. The differences between European member states are big. In Poland, Malta, Slovenia, Italy and Luxemburg, the pay gap is under 10%, while in the Czech Republic, Slovakia, Germany and Austria, the gap reaches over 20%. Estonia falls to the bottom of the list with 28%. Neighbouring countries are doing worse than Belgium (10%), with 16% (the Netherlands), 15%, (France) and 18% (the UK). The pay gap is a problem in and for all member states. This is why zij-kant and PES Women have created the European Equal Pay Day video clip, supported by ABVV, the socialist union of Belgium. The agency mortierbrigade, who created the Belgian Equal Pay Day clips since 2005, worked with production company Hamlet to create a high-quality short film, raising awareness on an international level about the gender pay gap. Download the PES women gender pay gap fact sheet about the gender pay gap in the European member states. 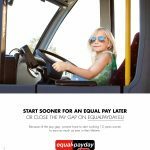 Download the posters (A3) of the Equal Pay Day 2017 campaign. 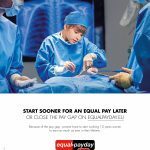 Download the flyers (A5) of the Equal Pay Day 2017 campaign.